Attorney General Eric Holder says the U.S. “would engage in conversation” about a resolution with Edward Snowden if the former government contractor accepted responsibility for leaking government secrets but said granting clemency "would be going too far." Holder made his comments in an interview with MSNBC's Ari Melber, scheduled to air later. The attorney general said any idea of amnesty for Snowden, "where we say, no harm, no foul" would be going too far. Asked by Melber whether Snowden is a whistleblower, Holder said, "I prefer the term defendant. That's the most apt title." This photo provided by The Guardian Newspaper in London shows Edward Snowden, who worked as a contract employee at the National Security Agency, on Sunday, June 9, 2013, in Hong Kong. President Barack Obama has said repeatedly that Snowden should stand trial in the U.S., and sidestepped a question last week about whether he should be eligible for clemency. Obama also addressed the leaks during his speech last week on National Security Agency reforms, a speech prompted in part by Snowden's initial disclosures. 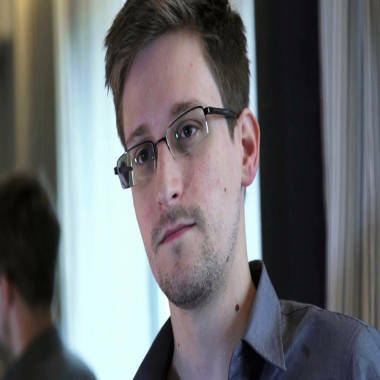 A CBS News poll released Wednesday found that 61 percent of Americans -- including clear majorities of Republicans, Democrats and independents alike -- believe that snowden should stand trial in the U.S. Just 23 percent of Americans support some sort of amnesty for Snowden. Holder also declined to respond to a question about the claims by some in Congress that Snowden might be a spy, saying he could not discuss any aspect of the criminal case. Snowden himself denied being a spy for the Russian government or any other government, declaring that he had acted alone.